Analysis: Edward Waters College needs approximately $284 million for all of its students to attend debt free annually. The college is located in Jacksonville, Florida which has an estimated population of 820 000 with 30 percent of that population being African American which is well above the state’s overall African American population percentage of 16 percent. Jacksonville being located in the northeast part of the state would allow for recruitment opportunities into southeastern Georgia. All factors that are extremely needed for a school where student population has declined by almost 40 percent. This gives Edward Waters College an opportunity to expand its geographic presence. It has legacy on its side as the oldest HBCU in Florida which can be a remarkable marketing point if properly used. They also have prime academic balance between STEM and humanities which can be presented as an opportunity to develop wholistic students and a great selling point. The enrollment desperately needs to reach a population of 3 000 students in order to start to produce enough alumni for a donor pool that can impact the college’s long-term endowment. There should be some consideration to develop a niche graduate program to begin to create a pipeline of high quality donors. 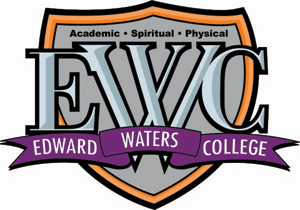 Edward Waters College is an HBCU with a lot of potential and promise but demographic headwinds could ultimately make its journey forward very difficult. If it can conquer the challenge of its demographics, then the school is in a prime position to see an explosion in its endowment and secure footing for its future. This entry was posted in Philanthropy and tagged edward waters college, endowment, HBCUs. Bookmark the permalink.